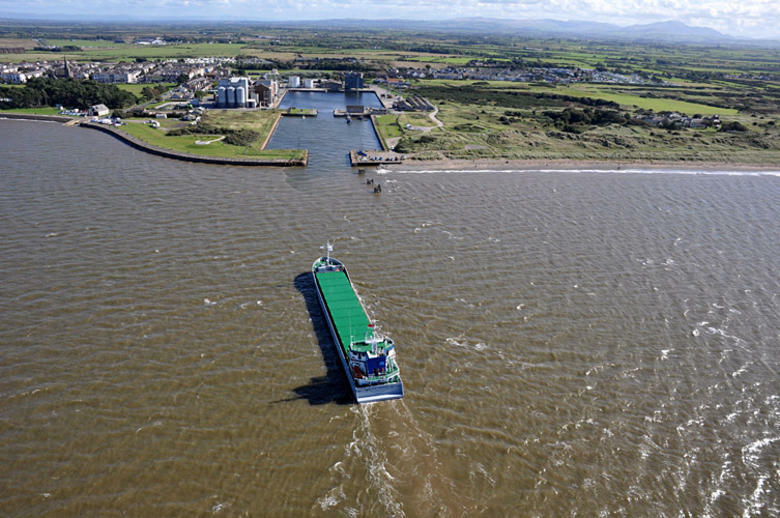 The Port of Silloth has celebrated a record-breaking year in 2018, handling the highest cargo volumes since 2015. This year the port handled a total of around 156,000 tonnes of cargo, representing nearly a 20% growth in tonnage volumes since 2017. In addition, in December, the vessel ‘Blue Six’, which carried more than 3,700 tonnes of French wheat became the fifth largest delivery to enter the port since official records began in the 19th century. The wheat will be processed at Carr’s Flour Mill, a thriving business and important local employer, founded more than 180 years ago. The top spot for Silloth’s largest cargo delivery is still held by the ‘Arklov Venture’, a vessel which transported over 4,200 tonnes of bulk fertiliser from Antwerp to Silloth in March 2014. Carl Bevan, ABP Divisional Port Manager – North West, said: “We are pleased to report that the Port of Silloth has had an excellent year, handling 58 piloted ships and exceeding expectations thanks to the positive performance of our customers and colleagues.